Indoors, outdoors, lecture hall, museum, special events. Enjoy. To see the rest of it, visit us! Gil Ahern speaks (Lecture Series) -- lecture hall. 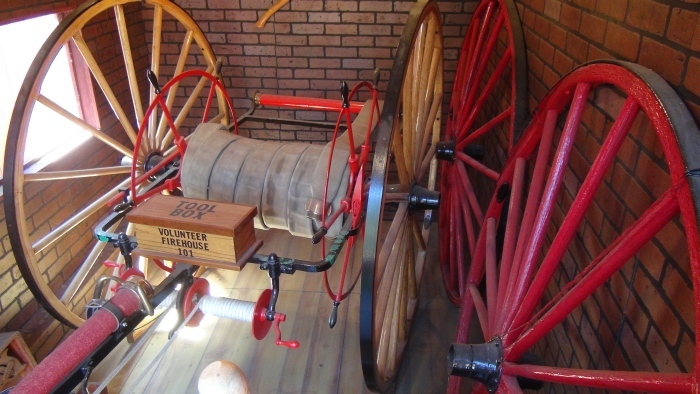 Inside the Volunteer Firehouse re-creation. A famous postcard -- Park Drive in the 1970s, by Helga Wallner. Display on Native American history in the area.